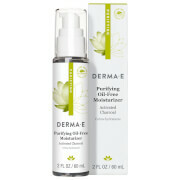 derma e DMAE Alpha Lipoic-C-Ester Firming Toner refreshes, soothes, and balances your skin, preparing it for treatment. It closes the pores, leaving your skin smooth and refined. 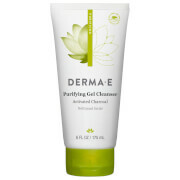 Ideal for those with aging skin who want smooth, clean, firm skin. 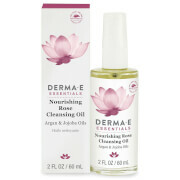 Apply to face and neck with a cotton pad or ball after cleansing. Alpha Lipoic Acid protects against free-radical damage and retexturizes. C-Ester gently absorbs into the skin, firming, toning, and brightening. Witch Hazel purifies the pores. Water (Aqua), Panthenol, Allantoin, Organic Hamamelis Virginiana (Witch Hazel) Extract*, Organic Cymbopogon Schoenanthus (Lemon Grass) Extract*, Equisetum Arvense (Horsetail) Extract, Aesculus Hippocastanum (Horse Chestnut) Seed Extract, Organic Chamomilla Recutita (Matricaria) Flower Extract*, Glycerin, Dimethyl MEA (DMAE), Thioctic (Alpha Lipoic) Acid, Ascorbyl Palmitate (C-Ester), Polysorbate 20, Phenoxyethanol, Ethylhexylglycerin, Natural Fragrance.